Phi Phi Island cuisine is something people from all over the world can enjoy. Phi Phi Island Restaurants serve delicious and creative dishes infused with rich spices and mouth-watering flavors. Phi Island cuisine consists of spicy salads, warm noodles, curries, coconut milk, lemongrass, tofu, peanuts, ginger, seafood and more. A popular food choice all around the world, you'll find authentic Thai food in Phi Phi Island restaurants the best you've ever had! Phi Phi Island cuisine blends the tastes of all areas of Thailand and Phi Phi Restaurants give you an idea of what Thai food is all about. Prawns, lobster and crab are abundant and are added to noodle dishes, soups and rice dishes, making Phi Phi Island cuisine both delicious and satisfying. Seafood is boiled, curried, barbecued, steamed or fried and almost always served with tangy sauces and sweet and spicy peppers. Some of the most favoured dishes of Phi Phi Island cuisine are: Phat Thai, Tom Yam Gung and Som Tam - a salad dish fondly referred to as "Papaya Pok Pok." Phi Phi Island restaurants feature these and many more Phi Phi Island cuisine specialties. You decide which you like best! Some well-known Phi Phi Island restaurants are Mama's Restaurant, Ton Sai Seafood Restaurant, Unni's Restaurant and Le Grande Blue. 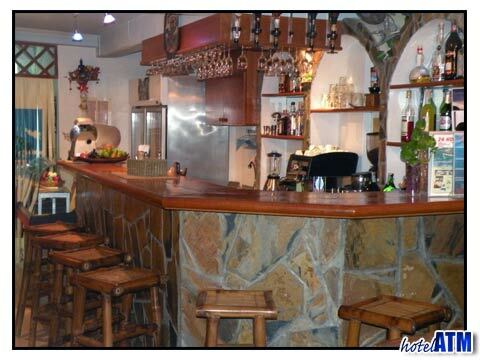 Mama's Restaurant serves traditional Phi Phi Island cuisine as well as French dishes. Ton Sai Seafood Restaurant allows you to enjoy authentic Phi Phi Island cuisine on the waterfront. Unni's Restaurant is a great place to have a date with a significant other, as you can cuddle up and enjoy Phi Phi Island cuisine in this intimate setting. Not all Phi Phi Island restaurants serve the same types of food as you might expect. 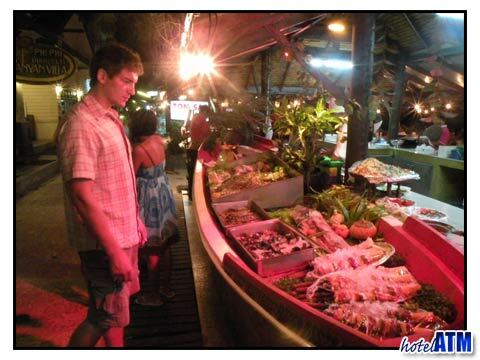 H.C. Anderson's offers a wide variety of International dining in addition to Phi Phi Island cuisine. If you are in the mood for a juicy burger or ice cream cone, stop by McPluto Burger or the Patcharee Bakery. Sushi lovers can feast on all-you-can-eat sashimi at Hibachi and night owls can order a snack at Little Britain Café. Dozens of other Phi Phi Island restaurants are situated around Ton Sai and Phi Phi Island cuisine can also be found inside many of the resorts of Phi Phi. Locals will be able to guide you to some of their favourite places to dine, so don't be shy! Ask around and you may discover a Phi Phi Island restaurant you wouldn't have otherwise known about.